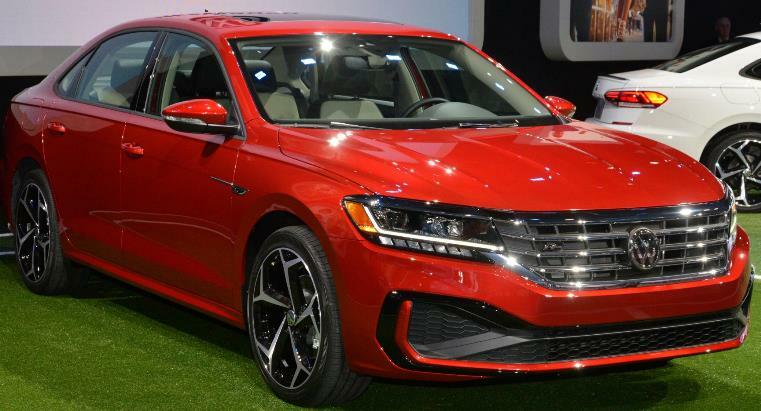 The new 2020 Volkswagen Passat, completely restyled retaining the underpinnings of the previous model and available in four regular trim levels, is powered by a 174 horsepower 2.0-liter turbocharged and direct-injection TSI® engine mated to a six-speed automatic transmission with Tiptronic®. Every Passat includes standard Forward Collision Warning and Autonomous Emergency Braking, now with Pedestrian Monitoring, as well as Blind Spot Monitor, and Rear Traffic Alert. Available driver-assistance features include: Adaptive Cruise Control, Lane Keeping Assist and Parking Steering Assistant including Park Distance Control. In addition, Passat offers a combination of both passive and active safety systems including the Automatic Post-Collision Braking System. The 2020 Volkswagen Passat, comes with 6-years/72,000-mile (whichever occurs first) bumper-to-bumper warranty is expected to begin arriving at U.S. Volkswagen dealers in the Summer of 2019.